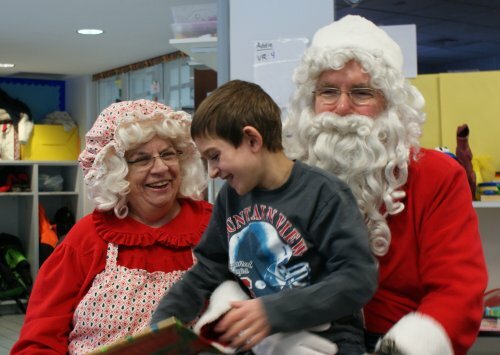 Santa and Mrs. Claus visit the Barber National Institute! 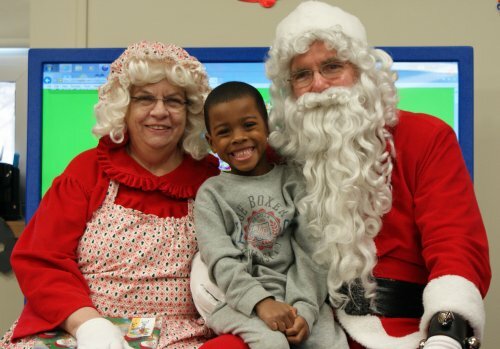 Christmas came early at the Barber National Institute today when Santa and Mrs. Claus visited classrooms and surprised all students with gifts selected especially for them. 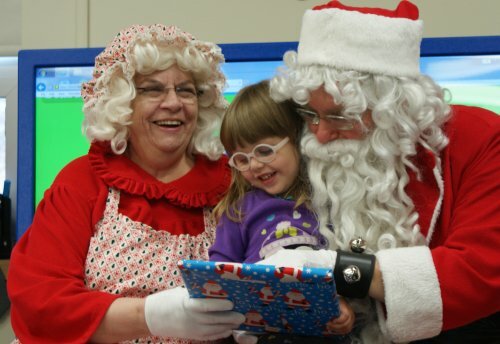 Santa and Mrs. Claus, otherwise known as Joe and Rhonda Schember, have been filling the holiday roles for more than 20 years. 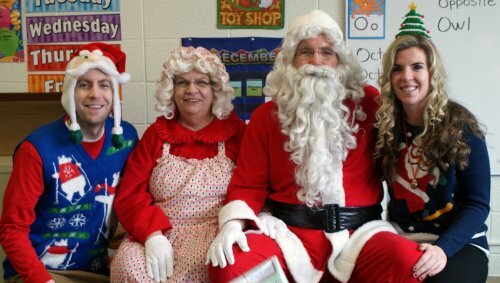 They began when their youngest daughter, Jodi, started in preschool at the Barber National Institute, and now say that this is their favorite day of the year. Today they were joined by their elves, daughter Jaime, visiting from Palo Alto, California, and son Joe, here for the holiday from Albany, New York. Middle and elementary school age students attended the Jingle Mingle in the gym, where they also received a present from Santa and enjoyed music, arts activities and refreshments. School faculty said that the event brings students together to practice socializing with their peers. 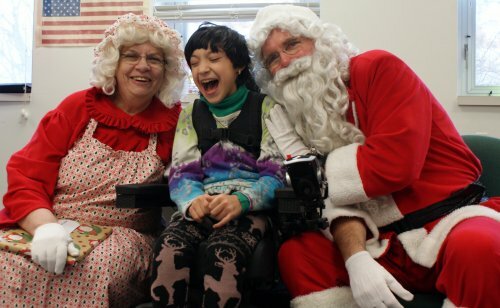 The Learning Center Parent Group holds fundraisers during the year to provide for holiday parties, as well as the purchase of Christmas presents for all students. The gifts are then selected by teachers in all of the classrooms.